If you use Use WiFi at home for your computers or a combination of tablets/ smartphones/ computers then you are well aware of the importance of having a secure and private setup at your house. Just to check that you have taken the necessary steps take a few minutes to read this article by Google and view the short video attached, and even if you are not sure you have got it right there is always SeniorNet Kapiti to turn to at their Q&A sessions for some extra advice. 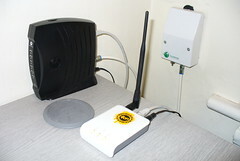 This entry was posted in On-Line Learning and tagged Google, Kapiti SeniorNet, Modem, router, Wi-Fi by Thor. Bookmark the permalink.